Cairns New Chalon is ideally located about 7km or 15 min drive South of the Cairns CBD and directly adjacent to the Cairns Golf Course and the City's Southern access road. All rooms are fully air conditioned & security screened offering many extras as standard including FREE unlimited AUSTAR with sports channels, FREE Latest Block Buster Movies in all rooms by Movie Link, DVD library, Large 80cm Flat Screen TV's with built in DVD players, Work Desk, Fridge with Tea and Coffee making facilities along with FREE High Speed Broadband. 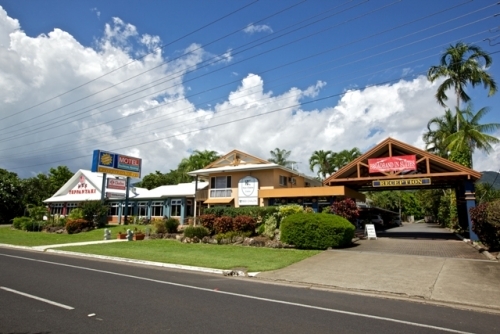 With over 10 different room types on offer Cairns New Chalon is sure to easily accommodate any type of single, leisure, family, business, local, large group, or adventure travelers all within their budget needs.